Accommodation in Zabava Guest House with friendly service and comfortable rooms are equipped with king size or twin Bed with air conditioned, a satellite TV and a refrigerator, in room safe, free Wi-Fi is available in all areas. All rooms have en suite bathrooms come with shower facilities, hot and cold shower, and daily maid cleaning. Zabava Guest House features a tour desk, which organizes excursion to tourist attractions. For convenience, we provided the airport transfer (surcharge) and a laundry service are available. 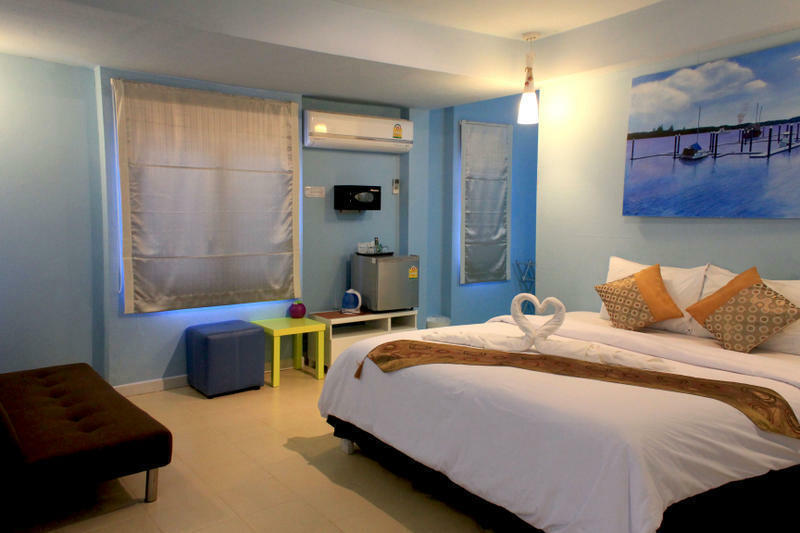 Our hotel is located behind Ao-Nang Cuisine restaurant that set in the center of Ao-Nang beach. Just cross the road 2 mins walk to reach white sand of the beach. Stop at Ao-Nang beach, looking for Ao-Nang Cuisine or Scuba Addict shop on the main street. Then tune into the alley beside it. Zabava is on the right of your hand.